Convergence insufficiency and convergence excess are two relatively unknown conditions, despite how commonly they occur. Combined, the two issues affect approximately 15% of the population, and their impact on a child’s ability to learn can be profound. From infancy on, our brain and eyes learn and develop visual skills including convergence, the coordinated movement and focus of both of our eyes inward. Convergence is critical for our eyes to focus on close objects, like books, papers and computer screens. If your eyes don’t converge efficiently, it can take a serious toll on your ability to concentrate on otherwise menial tasks. Definition: Convergence insufficiency is a problem with ‘eye teaming.’ A person may be unable to converge their eyes or to sustain convergence. This can result in discomfort and even double vision when performing near-point tasks such as reading. Convergence is a visual skill that is learned and developed. Some people develop the skill to a level that meets their needs, while others develop it to a lower level or not at all. What are convergence insufficiency symptoms? The symptoms of convergence insufficiency can range from mildly annoying to so severe that you avoid nearpoint tasks. Is there convergence insufficiency in adults? 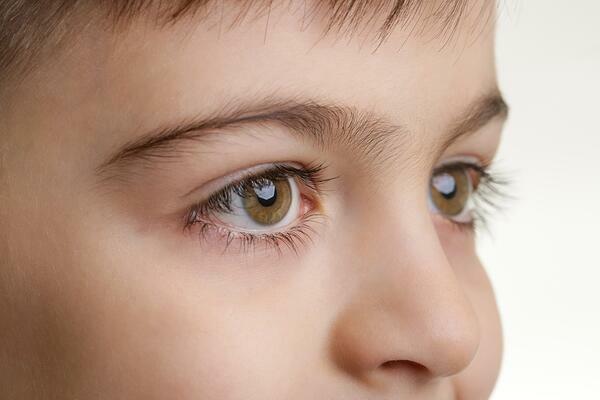 Convergence insufficiency (CI) occurs in adults as well as children. Because there are currently no epidemiological studies on CI in adults, we don’t have statistics on its rate of occurrence. However, we do know it occurs and that it can be diagnosed and treated. Is there a convergence eye test? Convergence insufficiency is surprisingly easy to diagnose. However, not all eye care providers include the diagnostic tests in their examination. If you suspect your symptoms could stem from convergence insufficiency, communicate them to your optometrist and inquire about whether they may be from CI. If you don’t have an optometrist that you currently see or if you have symptoms but no diagnosis, you can schedule a functional vision exam by filling in the form below. Definition: Convergence excess is also a problem with ‘eye teaming.’ When a person has convergence excess and looks at a nearpoint target, their eyes converge to a point that is closer than where the target actually is. For example, if a book is held 16” away from the reader, the eyes may be pointing at a spot only 14” away. Ideally, both eyes should point in the same spot and perceive visual space equally in order to work together as a team and provide efficient vision. Like convergence insufficiency, convergence excess results from poorly developed control of convergence. Unlike convergence insufficiency, a person with convergence excess is able to converge their eyes but over-converges them. What are convergence excess symptoms? Similar to convergence insufficiency, convergence excess symptoms occur most frequently while doing some type of close work, including working on a computer and reading. People with convergence excess can do the near work, but tend to get tired much faster than people who don’t have this functional vision problem. A lens prescription can be very helpful in some cases. It’s important to note that this type of prescription is different from a prescription to improve reduced visual acuity due to nearsightedness, farsightedness and/or astigmatism. The purpose of this type of prescription is to improve performance on nearpoint tasks, not to improve clarity of vision. Syntonics is a form of light therapy used for vision problems. Treatment involves viewing a specific color of light for a short time each day. The doctor determines what color of the light will be most useful based on the findings of their functional vision exam. Because convergence is a skill that a person learns and develops, it can be improved with vision therapy. Vision therapy is an individualized program of visual activities and exercises directed by a developmental optometrist and supervised by a vision therapist. This has been identified as the gold standard for treatment of CI in the following clinical study: Convergence Insufficiency Treatment Trial. A study from the National Eye Institute indicated 75 percent of patients who received in-office vision therapy by a trained therapist as well as performed at-home vision therapy treatment reported fewer and less severe symptoms regarding reading and other near work. “As this study shows, once diagnosed, CI can be successfully treated with office-based vision therapy by a trained therapist along with at-home reinforcement," said the study’s principal investigator Mitchell Scheiman, O.D. If you experience any of the symptoms we listed, take the first step toward recovery by determining if you have either of these conditions by visiting an optometrist who tests for eye teaming problems. If you are unsure if there is one in your area, simply fill out the form below to request a Functional Vision Exam. We have offices located in Brookfield and Madison, and our patients typically visit us from all over southeastern Wisconsin and northern Illinois. Read Our CI and CE Success Stories!